Invelos Forums: Common name for cinematographers Harry Stradling, Sr. & Harry Stradling, Jr.
Common name for cinematographers Harry Stradling, Sr. & Harry Stradling, Jr. Isn't this credit for Sr.? imdb and wikipedia both list Sr. as cinematographer for this film. It is for Sr. Sometimes it pays not to these things late at night! George Washingtion: TV Series: Harry Stradling, Jr. The Mad Room: Harry Stradling, Jr. Dirty Dingus Magee: Harry Stradling, Jr. 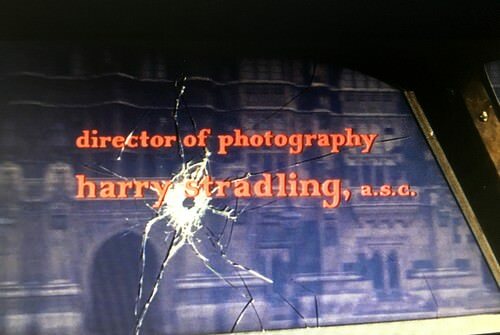 This is the common name thread for cinematographers Harry Stradling, Sr. & Harry Stradling, Jr. There are profiles with BYs for those two cinematographers to differ between Sr. & Jr.. Counting the titles in the CLT those BYs seem to be invalid because the common names aren't the same. But here's a common name thread to proof it. The following are all for Sr. The Crowded Sky: Harry Stradling, Sr.
A Summer Place: Harry Stradling, Sr.
Mary Mary: Harry Stradling, Sr.
Bank Shot: Harry Stradling, Jr.
With Six You Get Eggroll: Harry Stradling, Jr.
Cimarron Strip: "Without Honor": Harry Stradling, Jr. Buddy, Buddy: Harry Stradling, Jr.